The Armed Forces Covenant aims to honour the sacrifices the Armed Forces Community make to keep us safe, including those of families. The Armed Forces Covenant Annual Report details some of the successes the Covenant has had over the past year, including in the key areas of healthcare, education and accommodation. Whilst the high tempo of UK operations endures the impact of Service life on Armed Forces families remains challenging. The issues of mobility and long periods of separation from loved ones demand a level of commitment and resourcefulness from families, which sets them apart from the general population. Constant change and the prospect of new policies that will redefine the Armed Forces’ lifestyle mean that unease and uncertainty prevail. Whilst families are proud of their serving loved one, and willingly make compromises and sacrifices, it is vital that the Armed Forces Covenant plays its part to ensure that they are treated fairly. The Families Federations recognise the Armed Forces Covenant as an important and valuable mechanism to effect necessary change and very much appreciate the way in which Government departments and other stakeholders continue to work with us to achieve it. Much has been accomplished in the past 12 months but there remains considerable work to do. We appreciate the opportunity to comment on those aspects of the Report relevant to serving personnel and their families. That Armed Forces and Veterans issues are now part of the national curriculum for GPs, and will be tested in their Royal College of General Practitioners membership exam, is an extremely positive development. We look forward to there being greater understanding of the unique challenges that Service personnel and their families face. Following our observations about compensation for clinical negligence cases for those families living overseas, we were pleased to note that the Ministry of Defence (MOD) has now issued a Defence Internal Notice on Health Service Provision for Entitled MOD Personnel in British Forces Germany. Whilst we recognise that families are now able to transfer their place to new waiting lists when they move location due to an assignment, we are still hearing concerns from those who then face even longer waiting times for certain treatments. This is a particular issue for those trying to access a NHS dentist in a number of remote locations around the UK, which have a large military footprint, including North Wales, Norfolk, Devon and Cornwall. Whilst we are working with our unit Covenant Champions, local authorities and NHS England and health partners to try and find resolution locally, more could and should be done. We recognise that work is being undertaken to ensure that those families who are assigned to Northern Ireland are not disadvantaged with regard to the time they have already spent on a waiting list for treatment. However, concern remains about cases involving family members who find that they do not meet the eligibility criteria in their new location, or that certain medical treatment is not provided in Northern Ireland. Additional waiting times and concern about whether they will be able to have these procedures is causing undue anxiety. We would like to recognise formally the activity, support and engagement offered by the Armed Forces Commissioning Managers within NHS England, which has been outstanding; they continue to assist many families in need of advice and help. We also welcome the Defence People Mental Health and Wellbeing Strategy and we are pleased to note that Mental Health is at the forefront of the Health Agenda. We look forward to seeing the new services implemented over the coming months. As key stakeholders in the Service Children’s Progression Alliance (SCiP), we are delighted to be working alongside our partners in helping to improve educational outcomes for Service children. The development of the SCiP website is providing a hub of information and resources for professionals involved in Service children’s education. The organisation Service Children in State Schools (SCISS) continues to provide proactive guidance to schools on how best to support Service children, especially through the challenges of mobility and separation. We welcome the introduction of a Service child flag on the Common Transfer File from September 2017, which means that Service children will now be identified when moving schools. We would welcome the addition of key information detailing each child’s support needs. We also look forward to learning about the impact of the Service Children’s Local Authority Working Group which will work collectively to improve education for Service children in the 13 key areas around the country. The overseas education suitability reviews, recently conducted by the MOD, are a welcome asset for families who are considering an overseas assignment. This will enable them to make an informed decision, based on the facts, about the provision of educational facilities outside of the UK. The Families Federations are reassured to learn that the Service Pupil Premium (SPP) will not be affected by the wider reform of school funding. The SPP provides schools and academies in England with a much needed additional resource, allowing them to support Service children in a number of ways, and we believe that it should be protected. It has stood at £300 per pupil, per year, for some time now and an increase would be well received. We would also welcome the extension of SPP to include early years (under 5s), to support transitional childcare arrangements, and for all children in compulsory education, including those aged 16-18 years. There is still more work to be done, however, on educating schools on how best to spend their SPP, especially those that have lower numbers of Service children. While they receive less funding, they still need to use it as effectively as possible to support their Service pupils, and not combine it with their main Pupil Premium funding. The issues surrounding Service children being moved to a new school during the academic year are well documented. We recognise the work that the Directorate of Children and Young People, via the Children’s Education Advisory Service, are doing to try to resolve some of the difficulties that occur, particularly as a result of these mid-term moves. We would, however, welcome information about what work, if any, is being undertaken by the single Services to help overcome some of these issues, through careful timing of assignment order dates. We recognise that the needs of the Service will always prevail, but believe that more well-timed moves in some cases would go a long way to support parents and to aid retention. In our Observations on the Annual Covenant Report 2016, we requested further support for school admissions by way of changes to the Schools Admission Code. Whilst we have continued to pursue this with the Department for Education, as it stands the Code will not be changed. We believe that this decision needs to be revisited. We understand that the MOD Education Support Fund (ESF) is scheduled to close. We would like to highlight our support of the ESF as a vital resource for schools, especially for those wishing to provide targeted support for Service children which cannot be funded through Service Pupil Premium. The key reasons for its introduction, i.e. deployment and mobility, remain extant, and we would like to see the fund retained. We continue to receive evidence from families who are affected by the huge variations in the provision of Special Educational Needs support around the country, particularly those who are assigned to work and live in more remote locations. We would like this issue to be reviewed in the coming year to determine what extra support can, and should, be provided to those families who have to move location due to their Service commitments. The issues surrounding accommodation continue to generate the highest number of concerns reported to the Families Federations. Nevertheless, we are pleased to see progress with the performance of CarillionAmey, although there is still room for improvement in some areas, such as follow-on works and communications. Their decision to 14 introduce Customer Engagement meetings is to be commended, as families have long voiced their frustrations about not having face to face contact with the team responsible for Service Family Accommodation. We also welcome the recent engagement by the MOD and the Defence Infrastructure Organisation with regards to the new housing contract, and we look forward to representing the views of families as this important consultation is taken forward. The Armed Forces Continuous Attitude Survey 2017 report highlights that the number of Service personnel who feel that they get value for money for their Service accommodation is at its lowest for 8 years. We believe that there is a direct correlation between this decline, the previously poor performance of CarillionAmey (which only recently has started to perform to the contract targets), and the introduction of the Combined Accommodation Assessment System (CAAS) (which is deeply unpopular with many who feel that often significant rises in charges are not adequately explained or justified). This sense of frustration is compounded by poor communication and a complex challenge/ appeal process. We note the CAAS Working Group’s intent to simplify the system, but remain concerned by the negative effect of CAAS. We note the MOD’s intent to establish a Single Living Accommodation Management Information System, but are concerned that this has now been in the pipeline for years, and that there is still no sign of a working solution. We continue to hear about the poor state of infrastructure in units, including Single Living Accommodation (SLA), and the concomitant adverse effect on morale and feeling valued. The MOD now needs to address this urgently as the condition of SLA is an area of real concern for those personnel still living in poor quality and badly maintained accommodation. There remains much confusion, and some anxiety, about the long-term plans for Service accommodation under the Future Accommodation Model (FAM) programme. The Families Federations will continue to work with the FAM team to represent the views of families across all three Services and to ensure that those who are working on the new policy are aware of their concerns. We will also provide information and feedback on the proposals, as we believe it is essential for families to be involved in this process, especially in those locations selected to be part of the pilot in 2018. We would like reassurances that our feedback is given sufficient consideration by the FAM team, and that decisions are not solely based upon financial constraints. In addition, we would like the FAM team to recognise the unique nature of the three Services and the potentially differing requirements of those families. 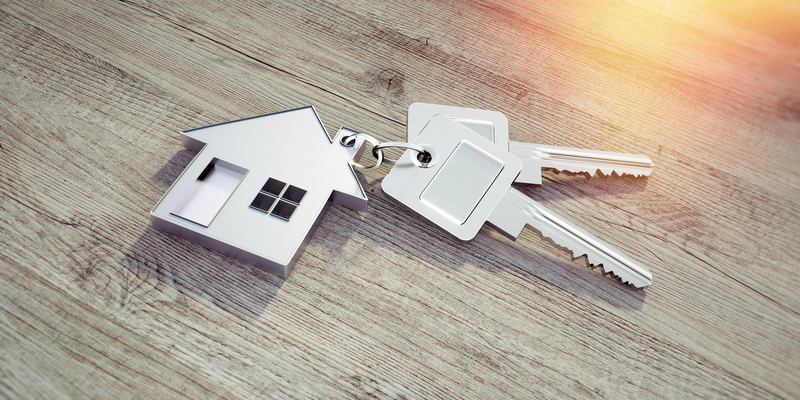 We are delighted that, following much work by the Army Families Federation and the Royal British Legion, there is movement on the issue of divorced/ separated spouses having a local connection when applying for social housing. 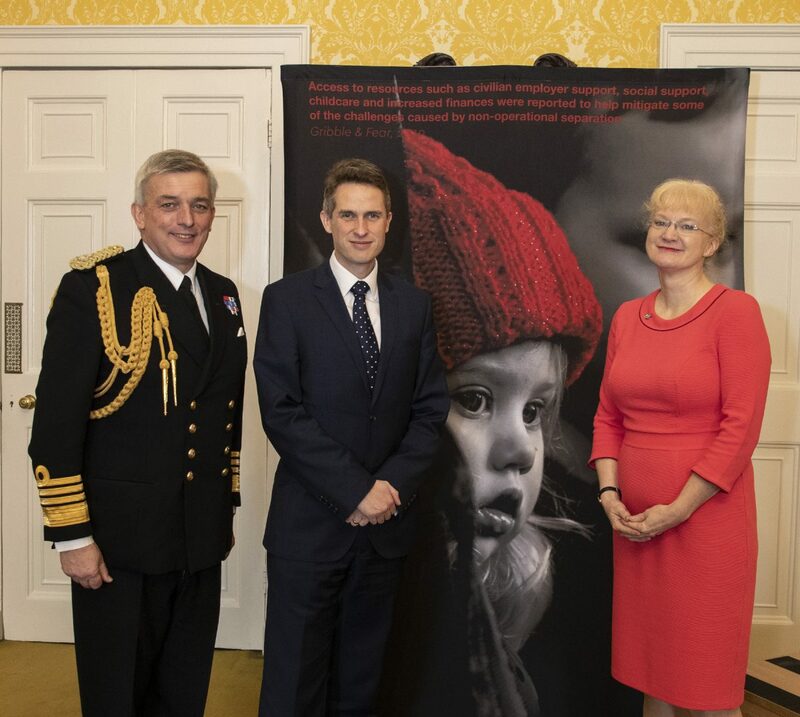 Once The Ministry of Housing, Communities and Local Government (formerly the Department for Communities and Local Government) and the Local Government Association have completed their consultation, we look forward to seeing new statutory guidance being issued to ensure that military family members are not disadvantaged because they too have been mobile, in support of the Armed Forces. The growing engagement of businesses is celebrated but we think there is still much more that could be done, especially by regional Small and Mediumsized Enterprises (SME) and not just the national or multinational corporate giants. Much attention is given, quite rightly, to supporting Reservists and Veterans in the workplace but spouse or partner employment is an issue that affects a great many Service families too. We will therefore be interested to note the findings of the review being commissioned by the Forces in Mind Trust to look at the pledges made by businesses to support Service family members. The introduction of a new MOD Domestic Abuse Strategy is to be commended. We hope that this will reassure family members that the MOD and the single Services take this issue very seriously, and that there is a clear focus on prevention through education and awareness. As a result of a successful bid for Covenant Funding, the Army Families Federation Foreign and Commonwealth Specialist, on behalf of all three Federations, has already been able to assist 20 spouses who have been victims of domestic abuse and has had a 100% success rate with their immigration applications. It is hoped that their work will complement the policies and procedures put in place by the new strategy. Whilst we welcome the news that the MOD has held initial meetings with the Home Office to discuss the challenges faced by some Foreign and Commonwealth families when applying for visas, we would like to see this issue given a higher priority. These cases frequently take months to resolve and can involve substantial amounts of money, which is having a significant impact on the families involved. Service families moving to and from the devolved administration areas have raised concerns regarding the nuances of living in different countries. Whilst it is acknowledged that there are some clear benefits to living and working in Scotland or Wales, there has been a particular focus on the issue of the Scottish Rate of Income Tax and the challenges faced by some family members when applying for funding for further or higher education courses. We were delighted that Directorate of Children and Young People was tasked to produce a draft childcare policy but are disappointed that it has been buried in the MOD for nearly a year with no news about its adoption. We recognise the potential costs, and that this is an issue that can affect all families, whether Service or civilian. Nevertheless, there are some issues that are unique to Service families, and are compounded for dual-Serving and lone parents. Childcare remains a significant challenge for our people, not just in terms of cost but in terms of availability, governance, quality, opening hours and variability of delivery. We would welcome a decision in the near future. The research currently being undertaken by our Transition Liaison staff will help to identify the actual needs and concerns of families as they go through the process of leaving the Armed Forces. We expect that this evidence will prove invaluable to informing Tri-Service policy on transition. The Families Federations would welcome a commitment that policy makers will continue to work with us to review the current approach to transition policy, and the current Resettlement provision, to identify where it can be explicitly extended to families or where new provision needs to be designed. This could include provision for supporting families to understand better what life after the Service could look like, and to help them to identify skills, characteristics and experiences that are of value to themselves and future employers, as well as to help families to become active citizens. We recognise the Armed Forces Covenant Cross Government Communications Working Group as an effective and positive development, but suggest that more is needed in the way of tailored messaging that will resonate with every rank, trade, age group and family situation. We also believe that there is more that can be done to support Unit Covenant Champions. We still hear about organisations that have signed up to the Covenant and yet failed to tell their employees, leading to confusion, stress and unnecessary bureaucracy when approached by Service families. Finally, despite the excellent work of Forces in Mind Trust and the MOD to identify and share good practice, we would like to see more work done to ensure that the Covenant is effectively communicated to local authorities, ensuring a focus on the removal of patchy delivery of the Covenant across different authorities. On behalf of the serving Armed Forces community we would like to offer our sincere thanks to everyone who has played a part in delivering the Armed Forces Covenant during the past 12 months and are particularly grateful to those who have worked to address areas of disadvantage for our families. Whilst we celebrate the encouraging progress that has been made, we look forward to seeing the recently renewed commitment made by the Government to support Armed Forces families yielding positive outcomes. To read the full Armed Forces Covenant Report, click here. To read a summary of the Armed Forces Covenant Report, click here. 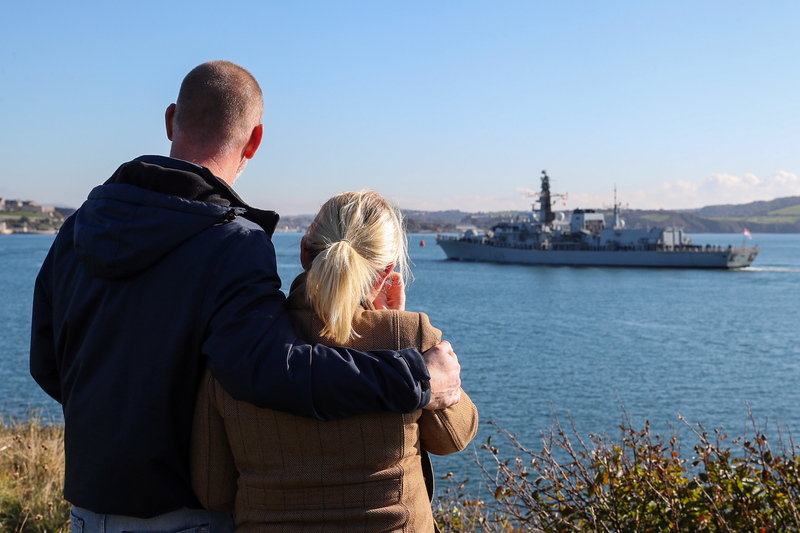 Without your feedback we cannot gather the evidence that we need to bring about change, where required, and make life better for Naval Service families.